ToLife! 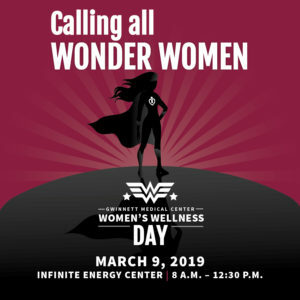 Yoga and Pilates is one of the exhibitors at Gwinnett Medical Center’s Women’s Wellness Day at the Infinite Energy Center on Saturday, March 9th from 8:00 am – 12:30 pm! Kari will be teaching a short Pilates Mat Class, and we will have a table set up to talk to attendees about the benefits of Yoga, Pilates, Stretch Therapy, and Kettlebells! All attendees will receive a swag bag that includes a flyer for a FREE Group Class at our studio, and one lucky winner will receive a gift certificate for a Class Sampler Pack (worth $55)! Visit gmcwomenswellness.com for more info!